'We donate not less than five units of blood each day,' says Mamidi Govinda Rao. 'No death should take place due to lack of blood. That is the motto of the mobile blood bank,' he adds. Since the launch, members have donated blood to more than 1,500 patients. Image used for representational purpose only. 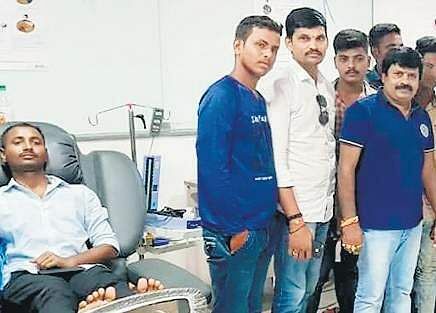 SRIKAKULAM: What started out as a modest attempt by a youngster in a small town in Andhra Pradesh’s Srikakulam district a year ago to help those in dire need of blood, is now a source of life-line for thousands of patients across the state. Realising that blood banks in the district are unable to meet the rising demand for blood, Mamidi Govinda Rao, or MGR, roped in a small group of volunteers who would be available anytime anywhere to donate blood. A year later, it has grown to become a full-fledged mobile blood bank with over 3,600 members not just in Srikakulam but in neighbouring Vizianagaram and Visakhapatnam districts, too, making blood unit just a call away. This is how the MGR Mobile Blood Bank works: Those who want to donate blood register their names by submitting details of their blood group, hemoglobin levels and residential address with contact numbers. Upon receiving a phone call or a WhatsApp message from a patient’s relative seeking a specific group of blood, no less than four donors rush to the hospital to donate blood. 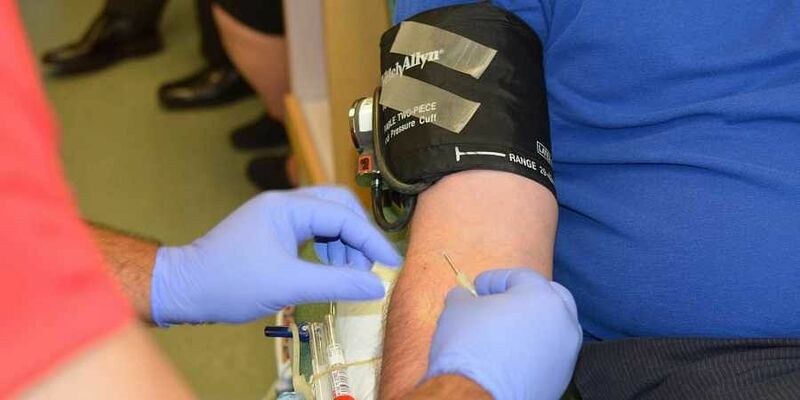 Since the launch, members have donated blood to more than 1,500 patients. With rising instances of a drop in platelets count due to seasonal fevers, the demand for blood has shot up in the recent past, says Rao. “We have donated the blood to about 500 victims in the past two months alone,” he adds. To contact MGR Blood Bank, call or WhatApp on 7702044449. “We donate not less than five units of blood each day,” says Mamidi Govinda Rao.“No death should take place due to lack of blood. That is the motto of the mobile blood bank,” he adds.